Порошковая окраска — метод получения полимерных покрытий с высокими защитными и декоративными свойствами. Данный метод окраски был разработан в 1950-х гг. Способ порошкового окрашивания является популярной альтернативой нанесению жидких лакокрасочных материалов для деталей, допускающих термообработку. Порошковые краски наносят на детали либо электростатическим распылением, либо их погружением в псевдоожиженный слой порошковой краски (с электризацией частиц или без неё), либо методом газопламенного распыления. 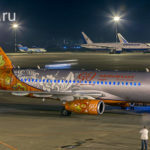 Швейцарская компания GEMA в начале 70-х впервые в мире успешно внедрила высоковольтный каскад в окрасочный пистолет. 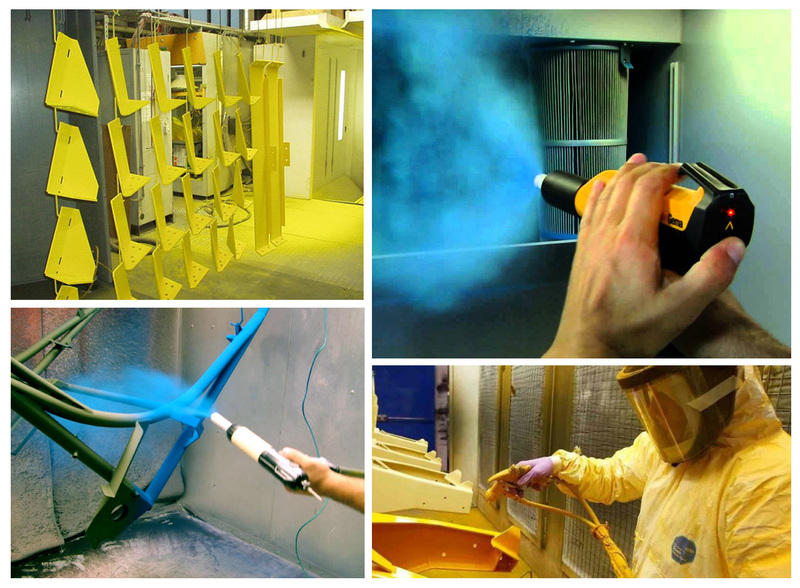 Powder coating is a method of obtaining polymer coatings with high protective and decorative properties. This method of painting was developed in the 1950s. 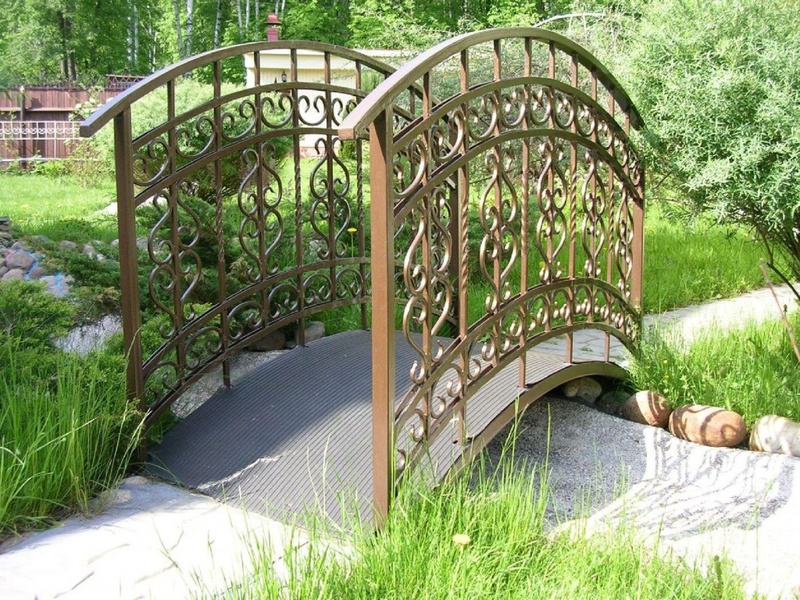 The powder coating method is a popular alternative to applying liquid paint materials for parts that can be heat treated. 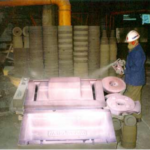 A cleaned metal product is sprayed with powder paint. In the process of spraying, powdered powder particles are electrically charged from an external source or electrified during friction. By an electric field, the particles of the powder paint are transferred to the article to be painted, which has an opposite charge. 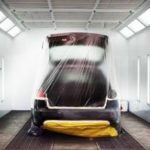 Do not settle on the product particles of powder paint are trapped in the spraying chamber and can be used for re-spraying, which is impossible with conventional liquid paints. Further, the product with the powder coating applied is transferred to the polymerization chamber for «baking» the paint. In the process of forming a coating from the applied powder layer, a monolithic high-quality coating is created on the surface of the article. The process of coating formation is carried out by heating a layer of powder paint to the state of its reflow to form a monolithic layer. In subsequent processing, a solid film forms as a result of curing (for thermosetting materials) or cooling (for thermoplastic materials). 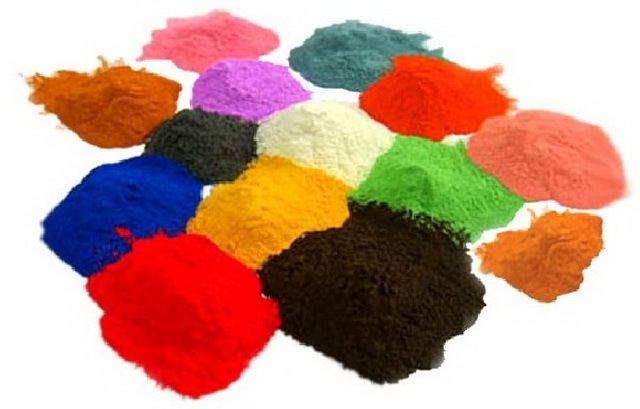 Melting of powder paints is divided into three stages: the powder melts and turns into a viscous-flowing state; A monolithic layer of fused powder particles is formed; The surface to be painted is wetted with a molten polymer, whereby a coating is formed. 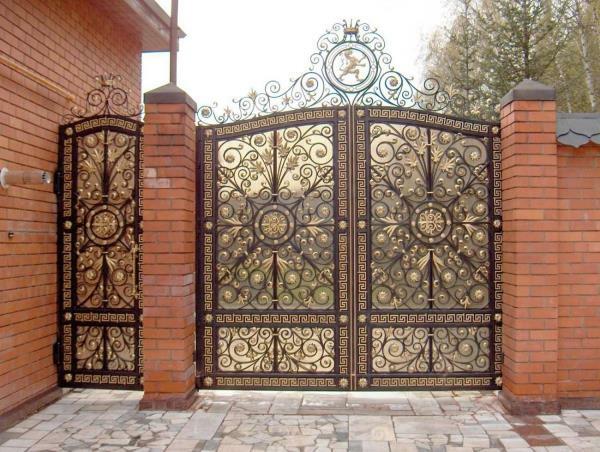 The list of products that can be painted with powder paints is quite wide. 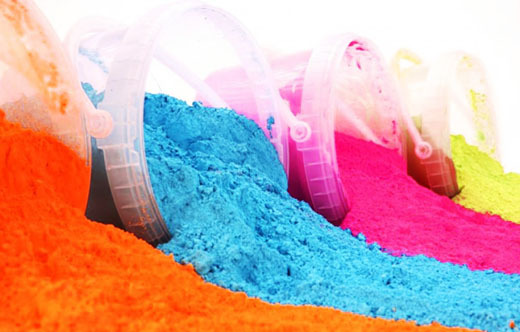 There are industries where the consumption of powder paints is growing particularly fast. An example is the coating of the inner surface of oil well pipes and oil pumping, operating under conditions where factors such as high pressure, high temperatures and the presence of corrosive media can have a destructive effect on almost all, with rare exceptions, coatings. 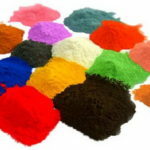 Powder paints are applied to the parts either by electrostatic spraying or by immersion in a fluidized layer of powder paint (with or without particle electrification) or by gas flame spraying. The Swiss company GEMA in the early 70’s for the first time in the world successfully introduced a high-voltage cascade in the spray gun.